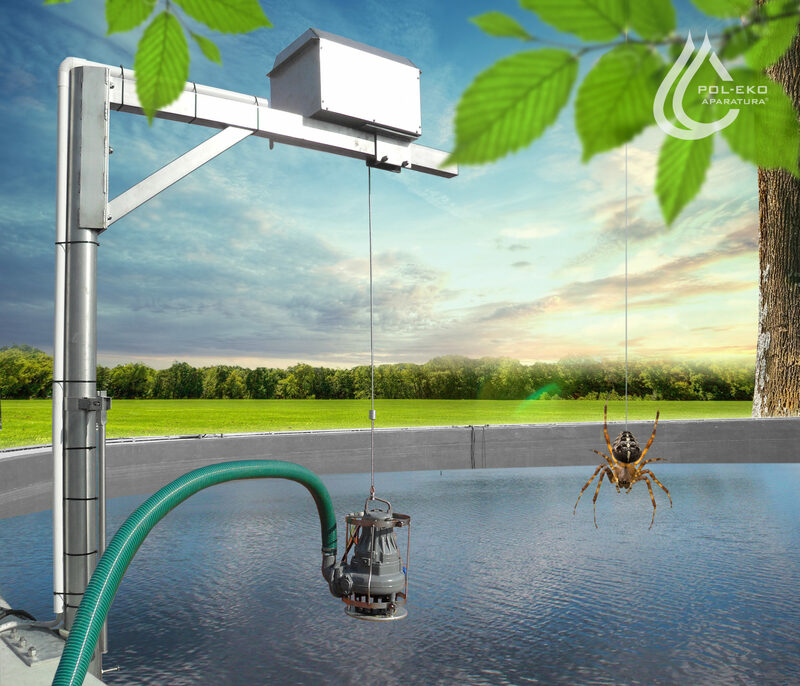 The system is mainly designed for the needs of wastewater treatment plants. It is used to drain sludge supernatant from settling tanks (sedimentation tanks, sludge thickeners, solids fermentation tanks). The most common decanter systems disenable sufficient water drainage which increases the sludge dewatering costs (higher amount of polymer, longer operating time of centrifuges and dewatering press). Thanks to the sludge concentration probe installed on an up and down motion pump, the Atwax system is able to determine the water-sludge boundary precisely. It can also work in sediment stratification systems (water-sludge-water-sludge). The automatic system drains the water automatically with the possibility of controlling the process from the control room. It can be programmed depending on the time of tank filling, sedimentation and other user’s requirements. The semi-automatic system requires operator’s support (observation of density profile, manual switching on/off the pump). The content of this website is protected by copyright and belongs to the company Pol-Eko-Aparatura.